vPost Singapore~I always love to shop online as I can enjoy shopping at the comforts of my home and just let the fingers do walking! I am not bound to the opening hours and distance. Often, the items might be even cheaper than at the local stores. 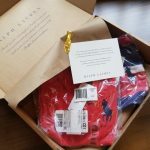 I shop often at US sites like Carters, Ralph Lauren and Amazon. Unfortunately, not all these sites deliver directly to Singapore. Hence, I am glad that we have service provider like vPost which allows its members to shop and purchase at eligible and multiple USA, Europe, China and Japan Merchant websites. vPost members are given free personalised USA, EUROPE, JAPAN and CHINA addresses. We can just shop direct at the respective overseas site and send to our personalised address. Vpost will then ship it out to our doorstep or pop stations. Now I can SHOP. SHIP. SAVE! 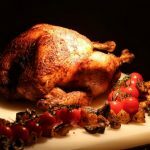 Bee Cheng Hiang Grillery~ The Bee Cheng Hiang Bakkwa Flagship store at 1359 Serangoon Road has evolved to Bee Cheng Hiang Grillery! 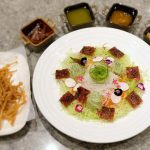 The grillery also has a dine-in Bistro area where you can enjoy their delish modern dishes using traditional Bakkwa and Flosses as ingredients! You can even come up close to the BBQ CHEF and watch how they barbecue. I enjoyed the Bakkwa Lohei, Mozzarella Katsu, Gourmet Enoki Roll and Cappellini Carbonara the most. 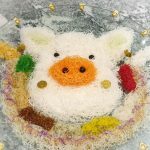 In a few days time, my favourite Chinese New Year is here! Time for Family and Friends gathering! 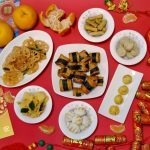 Looking forward to catch up with everyone over delicious feasts and chinese new year goodies. Yum Yum! 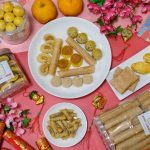 My Must-Buy favorites are always pineapple tarts, sambal rolls, kueh lapis! Bing Liang was a very traditional bakery which was established in 1998. The Ang family of Muar, Johor has been baking a great variety of cultural tarts and cakes. In 2018, they have arrived in Singapore. 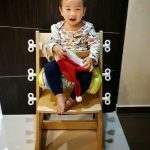 QMOMO Kid2Youth Baby High Chair is a wooden chair with sleek design. You can bring your child up close to the table and enjoy the meals along side with the rest of the family. It is adjustable to suit 5 Months Old Toddler and Above. You won't need to worry that it will be a white elephant when your kids are grown up. It can be easily adjusted to become an Adult Wooden Chair! Take A Seat is the sole distributor of Kid2Youth in Singapore. I always love Rose as it always full of beautiful elegance. Do you know each rose color actually has a different meaning? Hence, it is important to know the meaning before you choose the rose so that you can right rose for the occasion! A perfect bouquet will be a great gift for Birthdays, Valentine Day, and other special occasions. 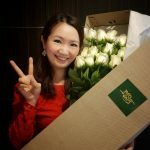 Roses Only Singapore offers gift and flower delivery Singapore wide! They offer the highest quality long stem roses ranging in sizes from single rose to 99-rose bouquets! The roses are delivered in exclusively designed gift boxes to keep the 60-80cm long stem roses protected and pristine!